Home > Blog > Vaccination > Nosodes: Can They Replace Vaccines? Nosodes have been used in homeopathic medicine since the mid 1800s. Nosodes are relatively unknown in veterinary practice and somewhat controversial in holistic veterinary practice. Many benefits have been noted, including a decrease in the severity and frequency of disease. Although nosodes are still controversial as a replacement for traditional vaccinations, evidence of their safety and efficacy is growing. 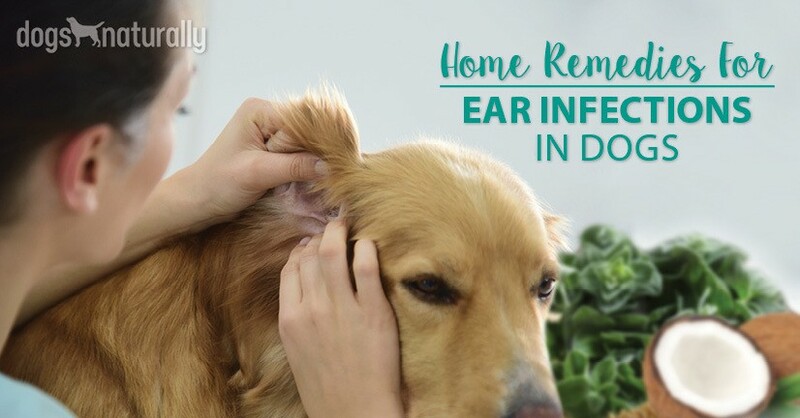 Nosodes are specialized homeopathic remedies that are prepared by taking actual diseased matter from a sick animal such as diseased tissue or nasal discharge. The preparation of a nosode involves a lengthy process of succussion and dilution of the original material using traditional homeopathic protocols until virtually no molecules of the crude substance remain, rendering the nosode safe for use. This process, called potentization, inactivates the original disease substance and converts the material into a bioenergetic remedy which interacts with the body’s energy field. The final product is a potent remedy that is an energetic blueprint of the actual disease. How are Nosodes Different from Vaccines? The difference between a nosode and a conventional vaccine is that there are no dangerous chemicals and additives in the homeopathic remedy. Nosodes are completely safe, easy to administer, and can be given to puppies much earlier than vaccines. Pregnant females can be treated with nosodes prior to giving birth, providing immunity to their litters before they are born. The difference between a nosode and a conventional vaccine is that there are no dangerous chemicals and additives in the homeopathic remedy. Nosodes are also given orally whereas core vaccines are injected. Nosodes can be used in two ways: to protect against disease (called homeoprophylaxis), or as a remedy should the animal become ill. When a nosode is given, the body recognizes the cellular structure and disease imprint, producing an immune response similar to actual exposure to the disease itself. Although this is difficult to prove scientifically, there are numerous examples of how nosodes have been used in homeoprophylaxis and to treat the onset of disease. Dr. Isaac Golden, an Australian homeopath, has done extensive research in the field of homeopathic childhood immunizations. Working directly with families who agreed to participate in a clinical trial of typical childhood diseases, Dr. Golden concluded that homeopathic immunizations were 90.4% effective. From 2001 to 2004, Dr. Golden also studied vaccine safety compared to homeopathic immunizations. He found that children who received standard vaccines were 15 more times likely to get asthma, 7 times more likely to get eczema and 2 times more likely to get allergies than those who were immunized by homeopathic preparations. His work is published in his ground breaking books, ‘Vaccination and Homeoprophylaxis: A Review of Risks and Alternatives’, and ‘Homoeprophylaxis: A Ten Year Clinical Study’. Similar studies have been conducted in Cuba and Brazil using homeopathic immunizations during disease outbreaks. In fact, homeoprophylaxis intervention was used during a large scale Leptospirosis outbreak in Cuba in 2007. Four different strains of the virus were combined in the homeopathic preparation, which was given to over two million people in high risk areas. Resulting data showed that in the areas where homeopathic intervention was used, the incidence of Leptospirosis fell below the historic median. This result suggested that the homeoprophylaxis succeeded in reducing the disease incidence and controlling the epidemic. This was one of the first examples of using large scale homeoprophylaxis as a method for disease control. Brazilian statistics on the use of homeopathic immunizations were collected in the 1974 outbreak of Meningococcal disease. Out of 18,640 children who received homeopathic remedies, only four cases of meningococcal infection occurred, compared to 32 cases out of the 6,340 children who were not protected. This resulted in a 95% effectiveness rate for the homeopathically immunized children. These types of studies in childhood disease provide a reference point for veterinary studies which are difficult to document and collect. Clinical trials are costly and follow-ups may be more difficult in rural areas where nosodes are more commonly used within farming communities. Nevertheless, success stories are emerging based on empirical evidence that supports the use of nosodes as a viable alternative to vaccines in routine health care. Dr. Christopher Day, British veterinary homeopath, has been using nosodes in his practice for 35 years. Evidence of reduced rates of distemper, hepatitis, leptospirosis, parvovirus and kennel cough has encouraged him to recommend nosodes to his clients for prevention and treatment of disease. In 1985, Dr. Day documented the successful use of nosodes in a kennel cough outbreak. The trial was done in a day care and there were 214 dogs participating, including both vaccinated and unvaccinated dogs. The nosode was introduced by placing it in the dogs’ drinking water. Remarkably, out of a total of 214 dogs that were treated with the kennel cough nosode, the incidence of actual, full-blown disease was only 1.9% out of 214 dogs, and the majority of dogs who did contract kennel cough exhibited only minor symptoms. The vaccinated dogs had a higher incidence of disease at 4.7% whereas only 0.7% of the unvaccinated dogs showed symptoms. Minor symptoms were expressed by 42.5% of the dogs, with 59.7% of vaccinated dogs show- ing minor symptoms, compared to 26.7% of unvaccinated dogs. This study shows that nosodes can be effective in disease prevention, and when dogs do contract disease, the severity of symptoms can be reduced with their use. The alarming increase in autoimmune conditions, allergies, cancer and other canine health issues due to vaccine reactions is a known fact. Pet owners are now seeking alternatives to keep their dogs healthy while preventing disease and illness. The growing interest in nosodes comes at a time when the safety and efficacy of vaccines are being questioned. As an integral part of the homeopathic family, nosodes are dog friendly for several reasons. Because their action works across the mucous membranes of the mouth, it is not necessary to swallow the medicine. Dosing is easy since the mouth doesn’t have to be opened and the remedy can be placed on the gum or inside the lip. The single dose powder is sweet tasting. The immune response to nosodes offers a more natural response to disease without the introduction of killed or modified viruses and harmful preservatives that can weaken the immune system. Unlike vaccines, nosodes are both safe and effective. What we do know is nosodes are working with a degree of efficacy to warrant further study and data collection. We know that they are a safe alternative to vaccines, and that they have been proven for homeoprophylaxis in human clinical trials. Because of their safety record, health benefits, and even the lower cost, nosodes are gaining popularity among holistic veterinarians and pet owners who are willing to give them a serious chance.